OffTrackBetting.com is offering a free contest for a chance to win up to $50 in wagering credits by picking the top 3 finishers (in order) for the 2018 Preakness Stakes on Saturday, May 19, 2018. Show off your Preakness Handicapping skills and pick up a free $50 in wagering credits for the Belmont Stakes. OTB is also offering a consolation prize if you don't get all 3 correct. We'll give you $10 if you only get the top 2 finishers correct (in order), and a free bet ($2 in wagering credits) if you only pick the correct Preakness Stakes winner. The OffTrackBetting.com Preakness Stakes contest is closed - winners will be notified by email within 72 hours - good luck! Accounts are considered active only if there has been a successful deposit in 2018, prior to post-time of the 2018 Preakness Stakes. If a horse is scratched, all entries with that horse are voided. Customers are responsible for updating their contest selections and no notice will be given by OffTrackBetting.com regarding scratched horses or entries. Prizes will be issued to entrant's OffTrackBetting.com account in the form of wagering credits to use for betting on the Belmont Stakes, Saturday, June 9. Wagering credits are subject to a 1x rollover requirement, meaning you must wager the full amount of the credit before being able to withdraw funds. Wagering credits will be issued to winners' OffTrackBetting.com account no later than 10am Eastern, Saturday, June 9th, 2018. All wagering credits that are not used by 11:59pm Saturday, June 9, 2018 will be forfeit, and removed from entrant's OTB account. One entry per account holder. All entries will be time-stamped. Entries submitted after the official post-time will be discarded. Entrants must pick the finishing order correctly in order to win any prizes. If an entrant fails to pick the Preakness Stakes Winner, there will be no prize awarded, even if entrant successfully picks the 2nd and 3rd place finishers. OffTrackBetting.com reserves the right to discontinue this promotion at any time without notice. You must provide a valid email address during the signup process. 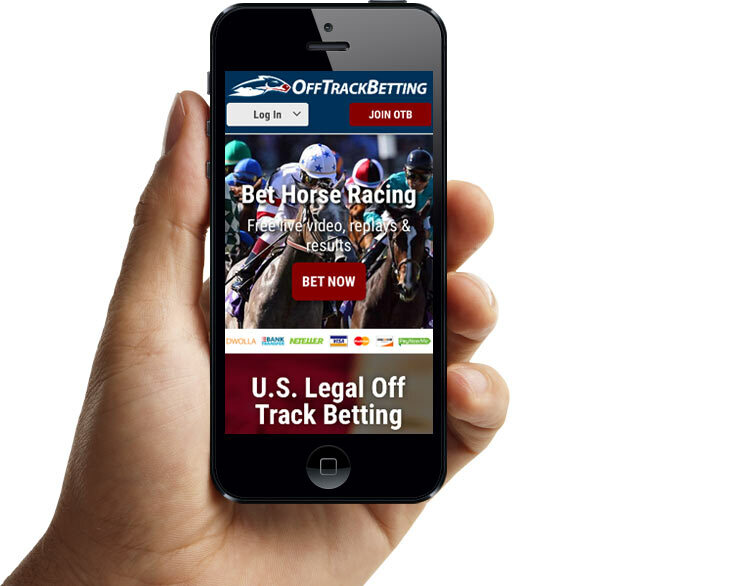 OffTrackBetting.com also reserves the right to verify the identity and eligibility of any Player participating in the promotion and to disqualify anyone from receiving any prize if it is determined that the Player has not complied with the rules of the promotion, and/or has provided false or misleading information about his or her identity. OffTrackBetting.com reserves the right to refuse issuing any credit to anyone at anytime for reasons that OffTrackBetting.com deems relevant. Patrons residing in jurisdictions where applicable law prohibits account wagering are not eligible for the promotion. Proof may be required from the Player to verify age and residency requirements. All federal, state and local laws and regulations apply.